From the makers of the best SUV’s for today, comes an SUV for the future. The best part… The SUV for your family’s future is HERE now at Eagers Mazda! 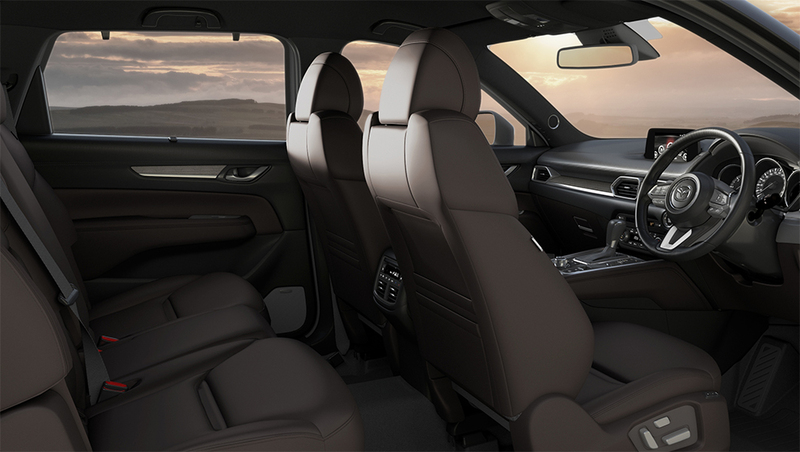 The Brand-New Mazda CX-8 Diesel offers the versatility of a seven-seat SUV, with more streamlined dimensions that won’t compromise on cabin space or comfort. It’s also equipped with a new 2.2L SKYACTIV-D engine, offering a smooth drive, outstanding performance and excellent fuel economy. 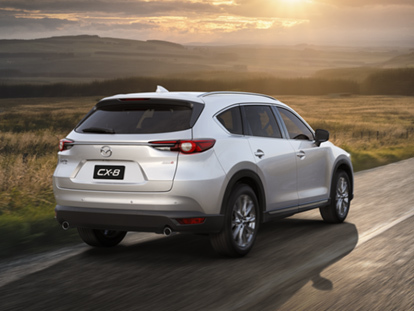 The Brand-New Mazda CX-8 Diesel features the latest in Mazda’s i-ACTIVSENSE safety equipment as standard from entry grade, right through to top grade, offering peace of mind for you, and your future generation. Test Drive yours today at Eagers Mazda! With growing families there’s always a lot to bring along. Brand-New Mazda CX-8 Diesel handles all your storage needs with ease. With the third row folded down you’ll have access to a huge 775L of cargo space. The pioneering i-ACTIV AWD All-Wheel Drive system is designed to monitor, predict and respond to even the slightest change in driving conditions, delivering an unparalleled connection to the road.